New Items, Tools, Dimensions, and More! Welcome to the Tons of Mobs Mod! 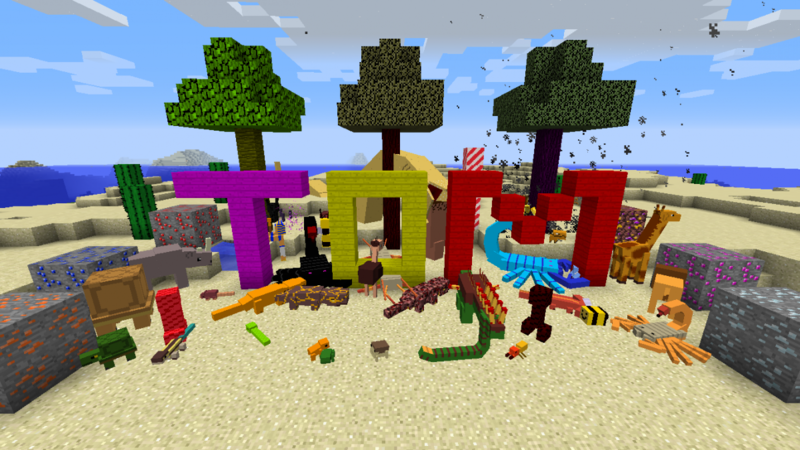 The TOM Mod aims to add a little bit of everything for players who are getting bored of vanilla Minecraft. The Tons of Mobs Mod adds new Mobs (duh), Items, Blocks, Dimensions, and More! 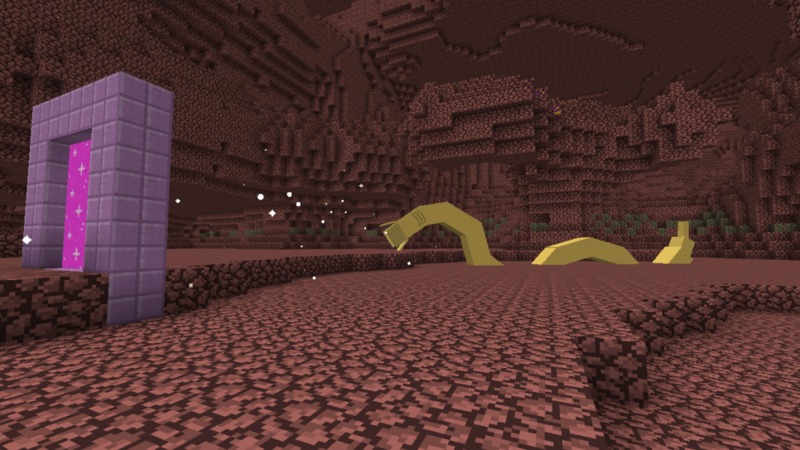 To get to the Pangea, build a Nether Portal frame, but out of Bone Blocks. The light it with a Flint and Copper. 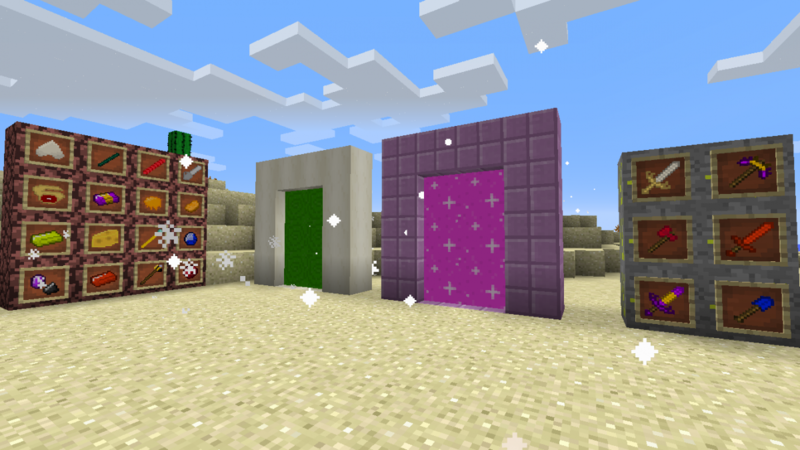 To get to the Utopia, build a Nether Portal frame, but out of Purpur Blocks. The light it with a Flint and Amethyst. YOUR MOD WAS INCREDIBLE !!!! Anyways...this mods just looks great! I would just aks you if i could do some animals in the future that will be similar to yours? I was kinda planning to add rhinos and maybe scorpions, and i am also asking this to whoever is doing an animal mod, just to make sure that they are ok with me making similar mobs to them. Go ahead. I didn't invent scorpions. I actually took inspiration from several different mods for some of my mobs as well. As long as you're not stealing my models you can do whatever you want! Also, pls tell me what your mod will be called, I would love to check it out! oh, btw, REALLY GOOD MODELS. I struggle even to make the simplest thing if i don't have a guide or an image to look at (in fact most of my models are similar to some found in the internet, i have to admit). Thanks! 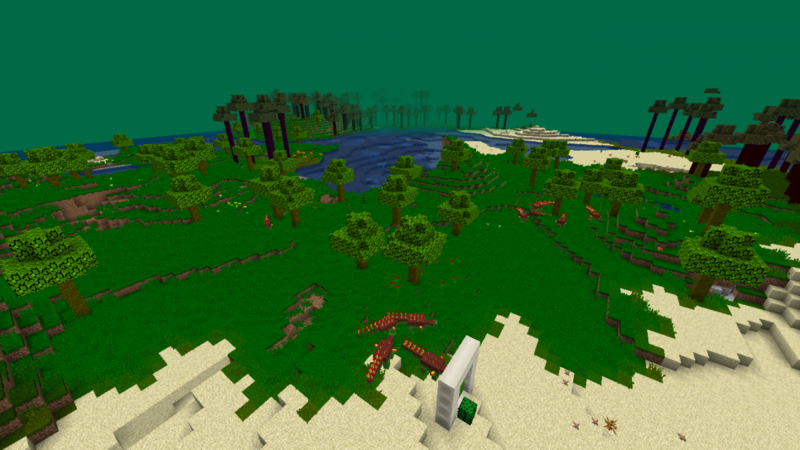 Also, I looked at your mod and it seems awesome, can't wait for it to release! This mod is awesome. It's clear you put a lot of work in this, and I encourage you to submit for next MOTW. CryptoCraft - Unknown cretures in Minecraft! !